Product Consists: Bunch of 15 Mix Flowers like Gerberas, Lilies, Roses, Carnations with green fillers along with Box of Assorted Dryfruits (Weight : 500 Gms). You will definitely appreciate the warmth and happiness that this gift combo signifies. This comes with a bunch of flowers like gerberas, lilies, roses, carnations which are thoughtfully packed in cellophane coupled with a ribbon bow on top for greater aesthetic appeal. 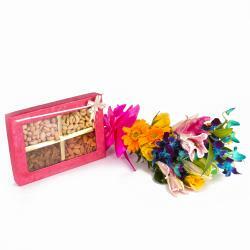 This combo also contains mouth watering and tempting assorted dryfruits. This gift combo should be the best bet for Birthday, Anniversary, Engagement, Pongal, Teachers Day and many other occasions. So why are you waiting, purchase it and get Fix Time and Midnight delivery without any extra cost. 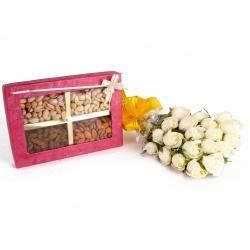 Along with this, send other Gifts to India through Giftacrossindia.com to be delivered in a safe and speedy mode. 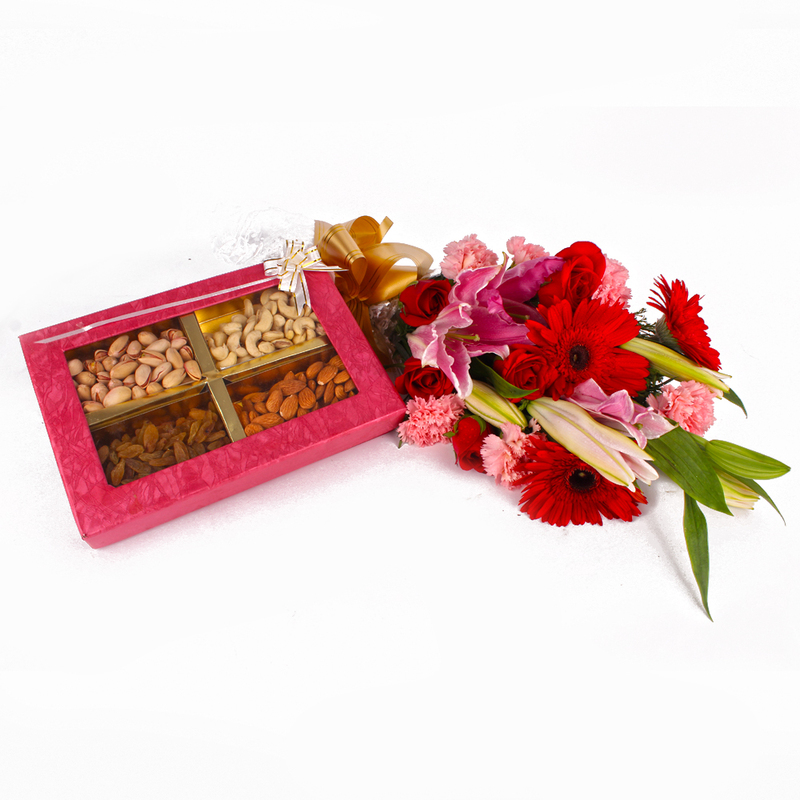 This gift hamper contains : Bouquet of 15 Mix Flowers like Gerberas, Lilies, Roses, Carnations with green fillers along with Box of Assorted Dryfruits (Weight : 500 Gms).